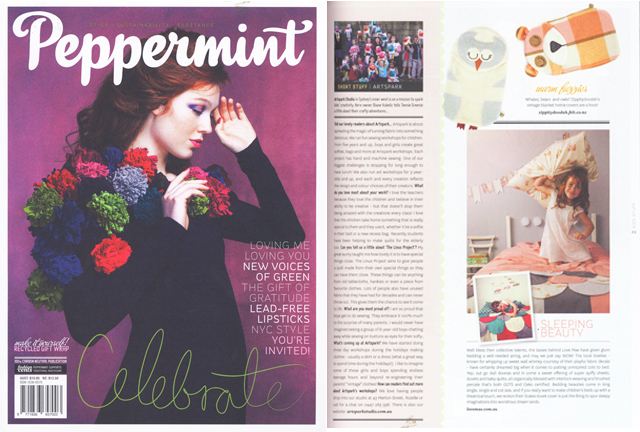 Peppermint has been a favourite magazine of ours for a while now so we were tickled pink to find us in the latest 14th issue. Peppermint is the green fashion and lifestyle magazine, celebrating eco and ethical style with a fun, fresh, intelligent and positive spin. It was created for the rapidly-growing number of consumers who appreciate good design, fashion and creativity, but also care about social and environmental issues and where their clothing comes from.